Hide Glue – Historical & Practical Applications, first review! 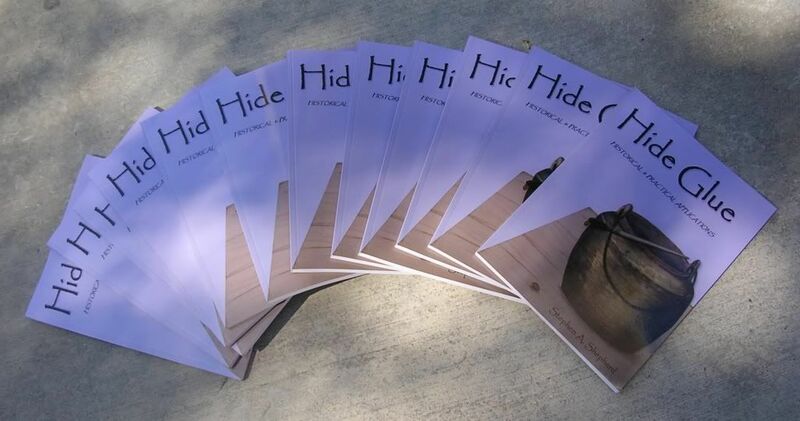 Well the first review of Hide Glue – Historical & Practical Application has been posted on Chris Schwarz Blog and it is a good one. Joel had written up some comments on his web site, but this was the first review. One always holds ones breath at moments like these. I can now breath easy. So where _does_ Shakespeare mention hide glue? Thanks and it doesn’t refer to the fishing pole manufacturer. I put that in there without reference to the exact location of the quote as a sort of teaser. I didn’t intend for it to become a topic of conversation, but alas it has. I am amused, and you now must re-read all of Shakespeare to find the reference. You’ll never find it. It’s on the two facing pages that are glued together.